Did you know that LGBTQ+ people are statistically more likely be smokers, compared to their straight, cisgender peers? The Knox County Health Department wants to address that public health disparity in our county. Join Mike Whitaker — the Knox County Health Department's tobacco treatment specialist — and a group of your LGBTQ+ peers for a weekly smoking cessation group right here on Kenyon's campus. In this group, attendees will learn strategies to quit smoking, and they'll have the opportunity to network with peers, who are also interested in qutting. At these weekly sessions, the Knox County Helath Department will also be providing free group counseling and free nicotene patches to help you on your journey to quitting. This program is co-sponsored by the Community Cessation Intitiative for Licking, Knox, and Perry Counties; the Cox Helath and Counseling Center; and the Office of Diversity, Equity, and Inclusion. 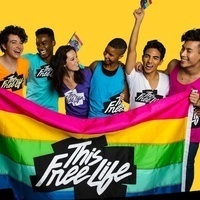 For more LGBTQ+ specific information on how to quit smoking, check out the following link: smokefree.gov/lgbt-and-smoking.